I recently began testing service on Red Pocket Mobile for an upcoming review that I will be doing. I ordered a SIM kit and plan through Amazon. Red Pocket Mobile allows you to use any major wireless network for service. The SIM kit I ordered came with 3 different SIM cards. One that could be used with AT&T, one for T-Mobile and one for the Verizon network. A Sprint SIM was not included, but the company said any Sprint SIM you have laying around would work. I opted to use the included CDMAV SIM, which uses Verizon's network to provide service. Thus far, in my limited testing of the service, I have been surprised to see that I've been able to get data speeds as fast as 34 Mbps with ping times as low as 46 ms.
For the longest time, Verizon MVNO's had their data speeds limited to just 5 Mbps download and 2 Mbps upload. However, back in August Tracfone owned brands became the first Verizon MVNO's to have their data speed restrictions lifted. Soon thereafter US Mobile announced new plans on the Verizon network that also lacked those speed restrictions. In December Boom Mobile proclaimed that it would start testing unthrottled data speeds. To date, Red Pocket Mobile has not formally announced any such changes to their Verizon based network plans. However, my speed tests indicate things have clearly changed. In fact, for a few days, I even had access to VoLTE. I'm not sure if the VoLTE access was a glitch or something that Red Pocket Mobile is testing because I no longer have it. With the changes at Red Pocket Mobile, it seems likely that Verizon has finally ended the data speed restrictions that it had in place with most, if not all of its major MVNO partners. I tired to get Verizon LTE carrier from them on my iPhone 5 unlocked ( verified by apple )their activation website refused the IMIE . they had issue activating 4 unlocked Verizon compatible phones from me … not sure what their deal is but looks like they lure with Verizon then people end up activating though other carriers with them . I got a 360 day plan for red pocket mobile to use with an LTE Sprint phone and I’m not getting more than 3mbps down. It sounds like you need to contact tech support to get that fixed. I contacted them, Red Pocket Mobile said that download speeds are the standard speeds for Sprint MVNO and were capped at 5mbps. I’ve got a copy of the transcript if you’d like to see it. Just thought you might want to update your article to reflect my real world experience. It sounds whoever the support representative you spoke to is confused. You should insist to them that is not standard for Sprint MVNOs. I have never heard of, been contacted by any dealer, tested myself or seen any reports of any Sprint MVNO capped at 5 Mbps. All are uncapped. The only MVNOs that 5Mbps was standard for were Verizon MVNO’s. However, during the past year 5Mbps became no longer standard for Verizon MVNOs either. 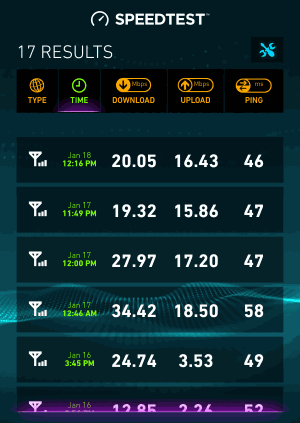 Most Verizon MVNO’s if not all no longer have speed caps.